The fist wave of Wylde Ivy’s Fall and Winter Collection will hit the shop the first week of September. Due to the flood cleanup and rebuilding, I am behind schedule for my fall release. I will be doing several small releases this year to keep things moving. Follow me on Facebook or Instagram or sign up for my newsletter to get all the news! Those who have been with me a long time might remember the flood in 2006 that destroyed my workshop. We learned so much from that experience, we made plans, we were prepared. We always watched rainfall totals and river levels, we always organized and prepared for a quick clean out and evacuation of the workshops. We always knew to take action long before the situation got dire. We've had some minor flooding annoyances since 2006, nothing even really to pause my business more than a couple of days. Well, we just experienced something we never even thought of....a flash flood. Unprecedented rainfall north of us came slamming into our workshops Monday. We were just shy of four feet of water this time...half of 2006. The only difference this time was that we had less than an hour from the time we got the alert to having the carry our kids and dog out on our backs. Both my husband and I were able to get the important items moved from our workshops. I never moved so fast in my life and my daughters were such a huge and amazing help. I'm happy to learn that they are calm and focused during a disaster situation....though they still were much more delighted to see the river running down our street than we were. They meet everything they see with the glittering eyes and adventurous wonder of childhood...for which I am grateful. The water has already receded and we are in the process of removing walls and cleaning. I will be closed for the next few days. We were only home from vacation one day when the flooding hit (thankfully we were home!). Yesterday was to be my first day back to work after my vacation. I still have outstanding orders that I will fill as soon as possible. Everyone with a pending order has been contacted. I'm really excited to introduce two brand new fragrances this month for Scents of the Month. 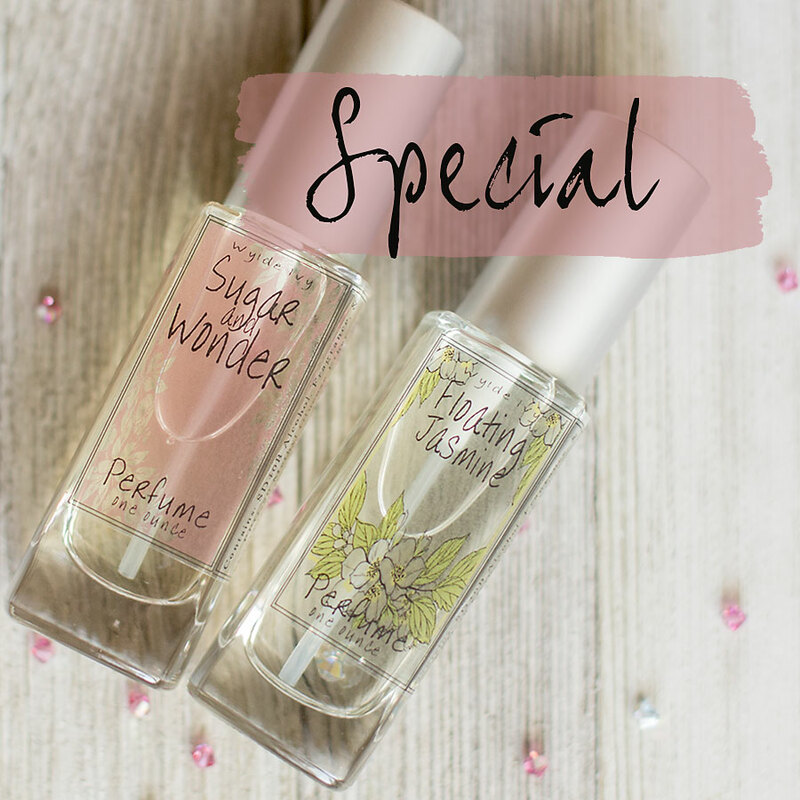 Scents of the Month are limited edition fragrance that I release for only a month or two in my shop....though, if they are exceptionally popular I will add them to my seasonal line as supplies allow. 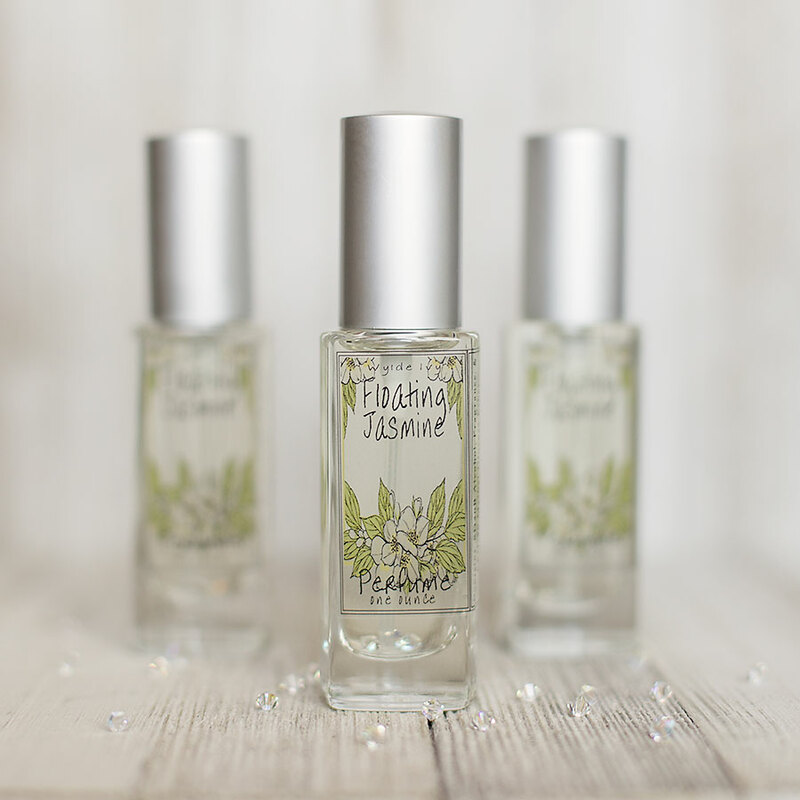 I knew I wanted a floral fragrance for May and I had been working on this wonderful jasmine fragrance for a long time. I was really pleased when I finished it in time for it to be included in the May release. I am super picky about my fragrances and even more so about floral notes. They must be true, modern, and not cloying. This jasmine just makes my heart sing. It is so lovely and fresh. 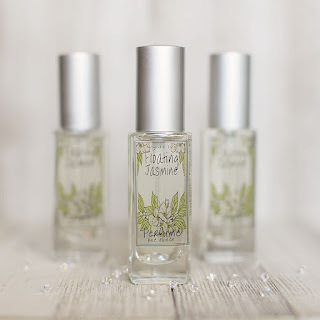 The incredible fragrance of demure jasmine blooms mixed with a touch of sweet spring grass, early morning dew, crystal sunshine, and a whisper of fresh orange zest. Sugar has to be one of my all time favorite notes...crystallized sugar, spun sugar, caramelized sugar. I just love how that one note has both the power to invoke innocence, playfulness, and attraction. Now that the weather is turning warmer for us here finally, I crave berries fragrances. Sweet, fresh, and all about sun. For this fragrance I combined my favorite things to create an alluring and playful, yet fresh and modern fragrance for the warmth of spring. Crushed summer ripe strawberries and blackberries mixed with warm white amber and tender night blooming jasmine, all tied together with a dose of spun sugar. 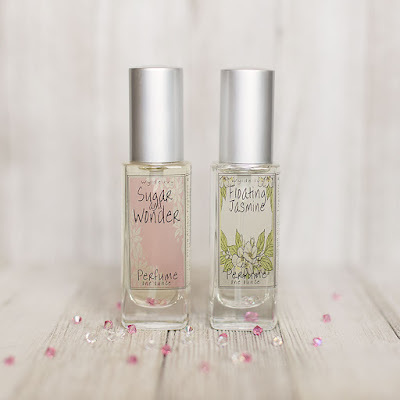 Of coarse, as with all of my Scents of the Month, both of May's fragrance are available not only in perfume but my full selection of bath and body products! Everything is handmade and cruelty free. If you can't choose, why not grab both! 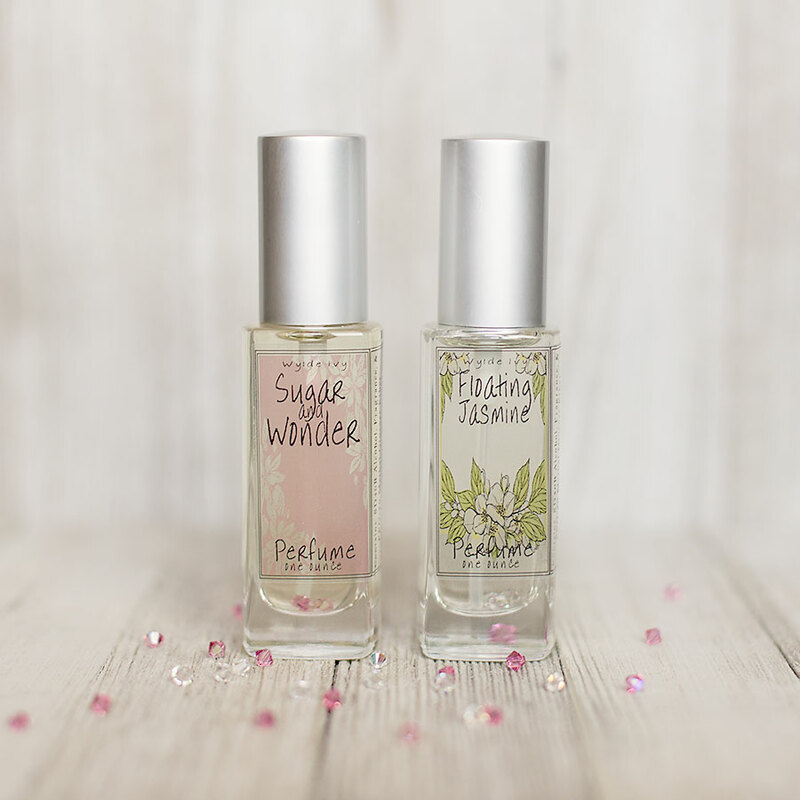 Floating Jasmine and Sugar & Wonder are available as a set for $40 for a limited time only. 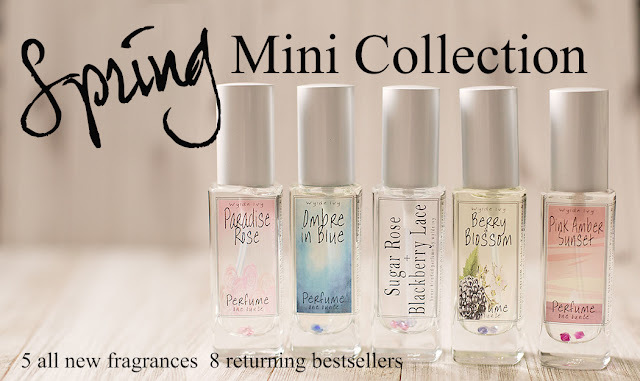 Spring Mini Collection and more! This year's new Spring Mini Collection is here! It includes 5 brand new fragrances. This collection is a play on some fun tropical elements, while staying fresh, dewy, and demure. Go for bright and happy with Berry & Blossom, or cool and mysterious with Ombre in Blue. Try a surprising classic with a twist with Paradise Rose or embrace with warmth of exotic daydreams with Pink Amber Sunset. See more details on these scents below. Full descriptions of all of my current fragrances can be found on my Scents Page. Sugar Rose and Blackberry Lace are back by popular demand. These fragrances will be in the shop through March! It’s always hard saying goodbye. Unfortunately I must retire scents to make room for the new additions. 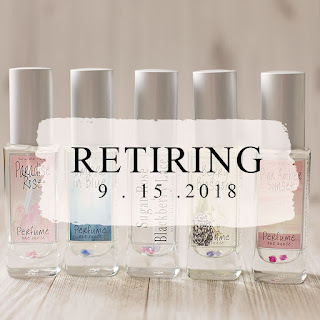 The following fragrances will go into retirement March 19th. Available while supplies last. There will be some big and exciting changes at Wylde Ivy this year! 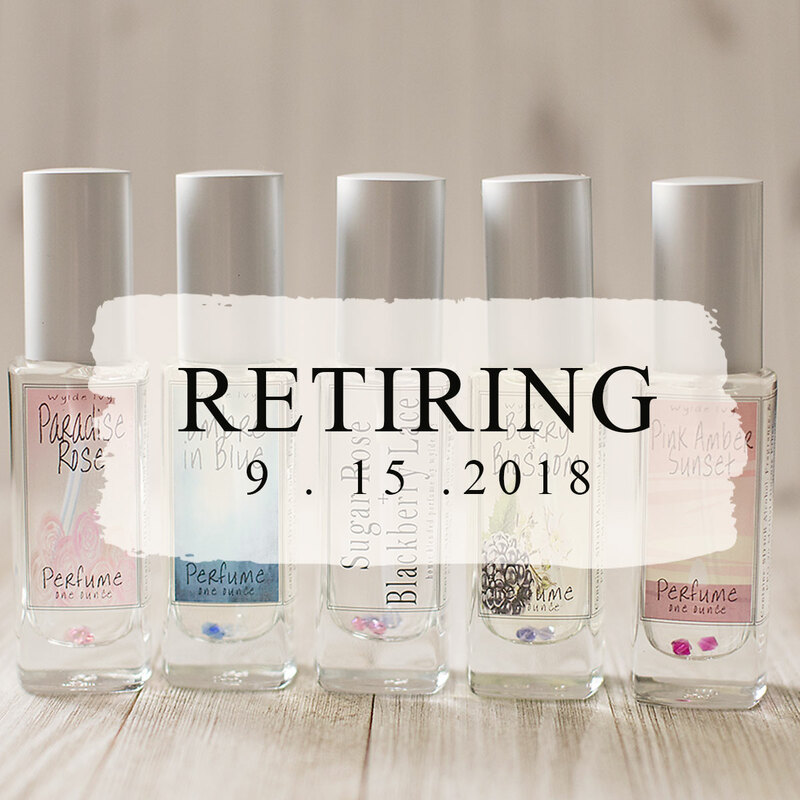 In preparation for these changes, I am making a little extra room in line and retiring some of my older fragrances. The following fragrances will also be retired on March 19 with the seasonal scents. Available while supplies last. If you are a long time Wylde Ivy shopper, you might have noticed that this release is a little smaller than usual. There is a very good reason for that! Stay tuned, there is some exciting news coming soon! Something all new for Wylde Ivy. In house blended fragrances. Two exquisite Wylde Ivy fragrances in one bottle! Perfume on sale now, before the fragrance's official launch on Monday. The golden kiss of autumn on late summer apples. 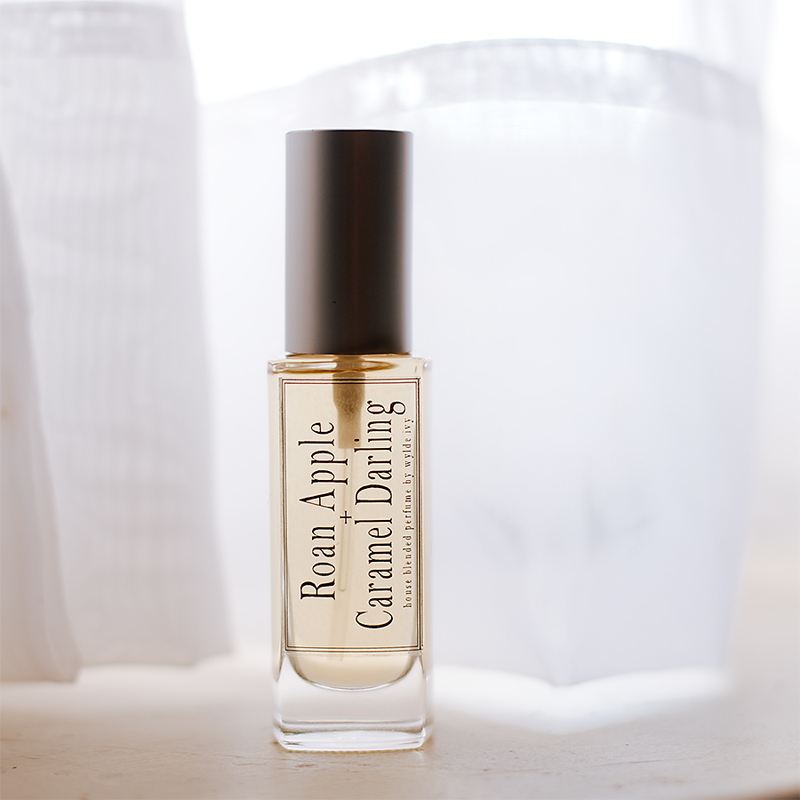 Sweet cored apples, a hint of fresh pumpkin, caramelized sugar cane, and honeyed white oak. This fragrance is sweet, fresh, and everything autumn. A two sided fragrance that is sweet and rich with a touch of the exotic in the undercurrent. Gooey sweet cream caramel and African vanilla beans poured over honeyed amber resin, dried tobacco leaves, and a hint of spice. Notes of: Madagascar vanilla beans, sea salted caramel, black peppercorn, crystallized amber, tobacco leaves, and a pinch of clove bud. 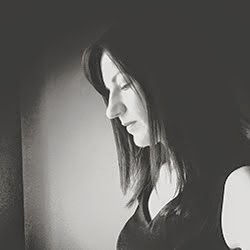 I am a perfume designer and a photographer, I have a passion for scents, a love of color and texture, and a deep desire to create and capture all things unique and wonderful. My name is Ashlee and I'm delighted you're here.